A skincare mask for the eye contour area. All skin types. Dermatologically- and ophthalmologically-tested for tolerance. Can be used by those with sensitive eyes. The original "gel patch" texture leaves an ultra-soft, imperceptible film which continues to work after the mask is removed. 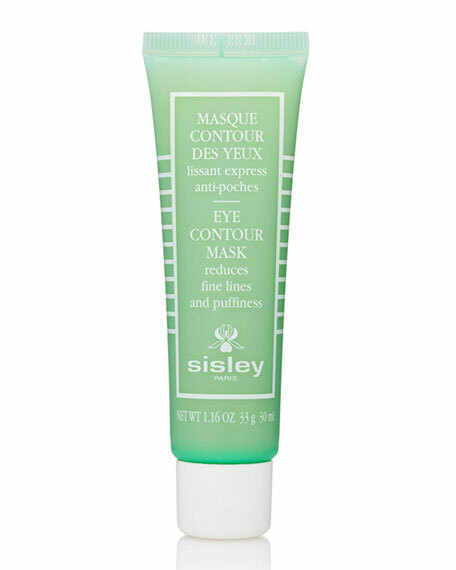 Use morning or night before the application of a Sisley cream. Apply the mask in a thick layer to eyelids and skin around eyes and leave on for 10 minutes; then tissue off any excess product without rinsing. May also be used around the lips. Omorovicza Ultramoor Mud Mask, 1.7 oz.